On Planned Parenthood’s 900,000 Sq. Ft. “AbortionPlex"
By Thomas Peters, Live Action: Last week The Onion posted a tongue-in-cheek story which jokingly claimed Planned Parenthood was opening up a new $8Billion, 900,000-square-foot “AbortionPlex” . . . .
Actually, the truth about Planned Parenthood’s current operating space and expansion plans is as strange –and almost as true– as The Onion’s “fictional” take on it. In fact, if you add up the square footage of just the “super-centers” I mention above – you get almost 250,000 square feet of Planned Parenthood abortion clinic! The fact is, if you count up all the space taken up by their abortion clinics nationwide, Planned Parenthood is already well on its way to having a 900,000-square-feet “AbortionPlex” – they just decided to spread them out so they can target the most vulnerable areas across our country. Flush with cash, Planned Parenthood affiliates nationwide are aggressively expanding their reach, seeking to woo more affluent patients with a network of suburban clinics and huge new health centers that project a decidedly upscale image … executives say they are "rebranding" their clinics to appeal to women of means — a move that opens new avenues for boosting revenue and, they hope, political clout. [The new clinics] feature touches such as muted lighting, hardwood floors and airy waiting rooms in colors selected by marketing experts. . . Planned Parenthood has also opened more than two dozen quick-service “express centers,” many in suburban shopping malls. Some sell jewelry, candles, books and T-shirts, along with contraception. One of Planned Parenthood's biggest gimmicks, we know, is to offer low-cost (or often free) contraception to young people, only to make money off of their subsequent abortions. And did you notice the "Chapel" in The Onion floor plan above? Seattle, WA’s Planned Parenthood, for instance, had a full-time “chaplain” on staff. Yep, basically true too. But in the end, it’s the square feet thing that gets me the most about this Onion article. The discernment these girls have shown in immediately ceasing their support of a pro-abortion organization and warning others is inspiring. They are wonderful models of how we all must be open to the truth and willing to act on it. 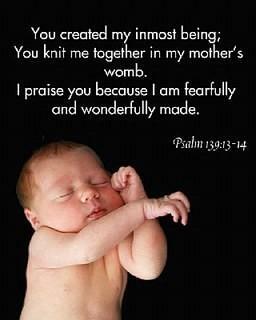 This is the attitude that will help our generation end abortion in America. I encourage you to spread the word and share Tess and Sydney’s story with your friends: read more about Speak Now Girl Scouts. The Call2Fall is nothing fancy. It is not a slick new program. No big production is necessary. It is simple. 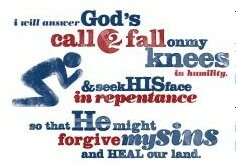 We are just talking about a definite time during worship on Sunday, July 3, 2011 when we get on our knees and faces before the Lord in repentant prayer, pleading with God to reshape our lives, renew our land, and send times of refreshing (See 2 Chronicles 7:14; Acts 3:19). that I'm an American just like you. I sleep off and on through the night and day. I toss and turn, roll and play. because I'm an American just like you. with each passing day through the year. when it comes to those who are yet to be born. our rights are seldom seen or heard. When you vote for abortion you're legalizing murder. Well free all of the murderers because they took a life! For now I live in my Momma's womb. and I'm an American just like you! If you could choose to live or die, you wouldn't stay quiet. We'd hear the cries of, "I've got my rights!" when they say, "you're not a citizen until you're born." because with abortion they don't have any rights. I wish that my Momma was PRO-LIFE. The above poem is by Allyson Smith. She submitted this poem to the ARRA News Service Editor with her permission to use the poem. Allyson is a pro-life advocate, writes poems, is married, is a mother of two and hails from Arkansas. Deuteronomy 30:19 "I call heaven and earth as witnesses today against you, that I have set before you life and death, blessing and cursing; therefore choose life, that both you and your descendants may live;"
Family Policy Network - Pro-abortion advocates often talk about making abortion “legal, safe, and rare.” But why rare? Why should they want to reduce abortions? It’s because, deep down, abortion advocates know abortion is murder. Their language about finding common ground and making abortions “rare” only belies their own knowledge of the immorality of murder and abortion. Put another way, there is NO NEED to “reduce” something that is morally permissible, which is exactly what abortion advocates claim abortion to be. It should be asked repeatedly of every abortion rights supporter, “Should abortions be reduced?” If their answer is yes, then they are implicitly admitting that there is something morally undesirable about the procedure. The unspoken question being asked is whether abortion is murder. If abortion is murder, then the course of action is obvious: Ban it. If abortion is not murder, then why all the posturing to “reduce” abortion numbers? If it is morally permissible, why should they capitulate to the pro-lifers’ demands? Again, it’s because they know well what abortion really is. As science advances each year, the window to the womb becomes clearer and clearer. It is becoming more and more untenable to deny that the unborn are not fully human and fully deserving of protection under the law. Pro-lifers must keep pressuring abortion supporters to either admit that abortion is murder or, if they don’t believe it is, to stop advocating for the reduction of a morally indifferent action. Kerby Anderson, Point of View: The House of Representatives recently passed H.R. 3 which is called “The No Taxpayer Funding for Abortion Act.” Although it is unlikely that the bill will pass the U.S. Senate, it was still good to get a recorded vote on whether members of Congress believe our taxes should be used to fund abortion. The bill was intended to do four things. First, it establishes a government-wide permanent prohibition on funding for elective abortion and insurance coverage that includes elective abortion. Second, it would close abortion funding loopholes that were created by the Patient Protection and Affordable Care Act often called Obamacare. Third, it would prohibit tax-deferred status for abortion through health savings accounts and itemized deductions. And finally, it would make the Hyde Amendment permanent. The vote on this bill was 251 to 175. Even though the two principal co-sponsors were both Republican and Democrat, the vote was essentially along party lines. Only 16 Democrats voted for the bill while 235 Republicans voted for it. This to me was surprising. Obviously a pro-life member of Congress would vote for the bill. But I would think a number of pro-choice members of Congress might also vote for the bill since they may believe abortion should be legal but we shouldn’t force taxpayers to fund a procedure they find morally repugnant. To put it another way, there were 175 members of the House of Representatives who not only believe abortion should be legal but that you should be forced to pay for those abortions with your tax dollars. They need to hear from the voters at election time. I’m Kerby Anderson, and that’s my point of view. To find out how your representative voted, click here. You can also send a message to your representative to either thank him for voting for your values or to let him know how you feel about him voting against your values. It is important for our representatives to know we are paying attention to how they represent us in congress. by Audrey Bright, Citizen Link: In 1977, five days after a saline abortion, Melissa Ohden was delivered and left on a table to die. Thirty-four years later, she is healthy and sharing her story around the world, providing a voice for the voiceless. She’s featured in a new documentary called A Voice for Life, which premieres next week at the Heartbeat International Conference in Columbus, Ohio. . . . In June, Ohden will speak at the National Right to Life Convention. She has a master’s degree in social work and has worked in the fields of substance abuse, mental health, domestic violence and sexual assault counseling, and child welfare. She is married and has a young daughter. 1. Tell us about the miraculous story of your birth. 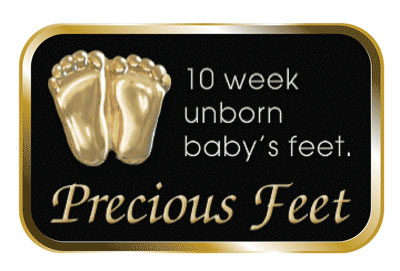 (My) mother had an abortion during her fifth month of pregnancy. The type of procedure was a saline-infusion abortion, and what that does is scald the child to death while they’re still in the womb. Then, they induce labor and a dead baby should be born. I was believed to be dead, and I was actually left for dead. I was placed along the bedside table. As the nurse was tending to (my mom), she realized that I was making small movements, and I was making grunting noises. So they realized that here I had been aborted, but I survived. 2. When did you first learn those details? (It was) such a striking blow for somebody who’s adopted, and then coming from another person who’s adopted, it (was) almost absurd. 3. How did you get started in public speaking? It was a long process for me. I had to do a lot of time healing. I wanted to have contact with my biological family and get my medical records, and so all of that really came together in 2007. I first traveled across the United States and Canada, speaking mainly on college campuses (with Feminists for Life), not only sharing my story and really putting a face to abortion, but also helping those campuses take a look at themselves and determine what the obstacles are to women choosing life and people being able to parent and remain in school. 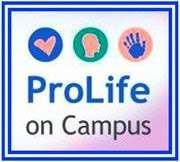 I do a lot of right to life educational forums and political forums to help educate people. It is about really putting a face to it and not just hearing statistics or reading about it — helping people understand this is a life-or-death issue. 4. Tell us about your ministry in Australia. Real Choices Australia is about providing women with real resources and real supports and really meeting their needs. They’re very limited, resource-wise, in Australia. There’s not a lot of philanthropy. It’s about really helping to gather people together to collaborate, to use those resources that they have and really engaging people in a conversation in a culture that doesn’t want to talk about abortion. The statistics tell us that well over 90 percent of abortions are done for psycho-social reasons — lack of finances, lack of support, you name it. And so we need organizations around the globe who truly address those needs. My biological mother had unmet needs that led to her being put in that position to abort me. 5. I understand you’ve played a role in shaping public policy. Explain that. The very first time I shared my story publicly was on Capitol Hill. Since then, I’ve started to testify before state legislatures. Going into this, I had no idea what God’s plan was, and I never cease to be amazed by the work that I do. Every day is a new adventure. American Life League exposes Catholic social justice leaders and organizations who are following and promoting an expert in population control. News Conference On H.R. 3, 'The No Taxpayer Funds for Abortion Act.' The legislation was approved by a vote of 251-175 in the U.S. House of Representatives on Wednesday, May 4, 2011. U.S. Reps. Chris Smith (R-NJ) and Dan Lipinski (D-IL), authored the bill that would codify and make permanent the Hyde Amendment across the federal government. The legislation makes permanent multiple restrictions on abortion funding that have been passed for years, and it would also close the abortion-funding loopholes created by the new health care law. It also makes permanent the Hyde-Weldon conscience clause protecting health care workers who object to being forced by the government to participate in abortion. Rep. Christopher H. Smith, R-N.J.